Victoria takes down Tri-City 7-4; club scores four goals in middle frame. 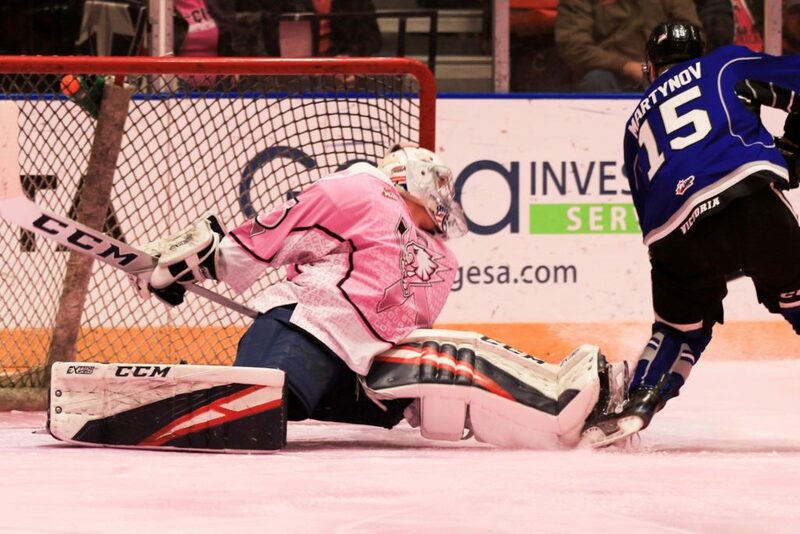 Kennewick, WA ¬ The Victoria Royals exploded for five consecutive goals in the opening 40 minutes, which included four in the second period, en route to a 7-4 victory over the Tri-City Americans on Saturday night. Goals, Goals, Goals: With their four goals in the second period, the Victoria Royals tied their season-high for tallies in a single stanza. The Royals’ franchise record for goals in a frame was established on October 4, 2017 against the Kelowna Rockets when they tallied six in the second period. Victoria also tied their season-high for goals in a game tonight with seven. Powerplay Prowess: With three on the man-advantage tonight, the Royals tied their season high for most powerplay goals in a game. Previously the club achieved this on September 22nd versus the Prince George Cougars and October 5th against the Kelowna Rockets. Climbing the Ranks: Royals’ goaltender Griffen Outhouse earned his 108th career regular season WHL victory. This moves him into a tie for seventh all time in career wins with former Calgary Hitmen goaltender Martin Jones. Outhouse is now 12 victories back of Tyson Sexsmith and Corey Hirsch for the most wins all time.